We all know this face from our childhood age. We’ve grown up by watching his movies which were always a sound discussion point at our classrooms and playgrounds. Yes, he is our childhood hero RAMBO or ROCKY. 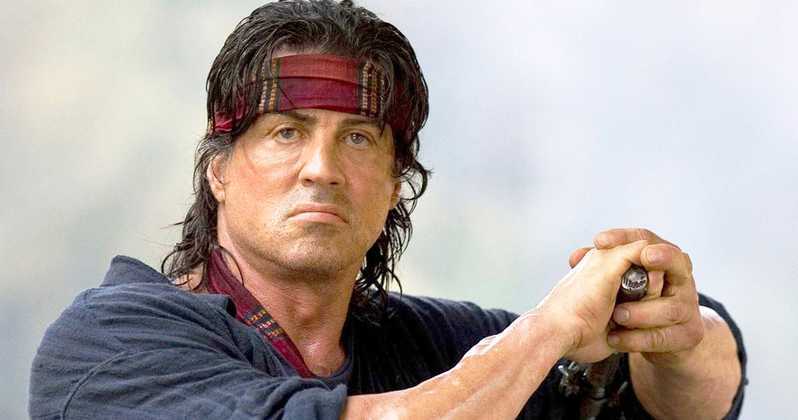 Most of us are introduced with Hollywood by experiencing the wonderful performance of Sylvester Stallone. However, his early life wasn’t that easy or smooth. See what he had to go through to reach his destination. He was neglected by her parents at childhood, spent so many years in a foster home, due to some medical negligence he was partially paralyzed with slurred speech. He was expelled from 14 different high schools. Then at the age of 19, he moved to New York to follow his dream of being an actor. Initially, he had to work at a zoo cleaning lions’ cages, worked a small part in different movies and he slept at a bus station for 3 weeks due to lack of money. One day he was inspired by watching a boxing match and it motivated him to write a screenplay about an upcoming boxer’s life. He finished the whole screenplay within 3 days, however, it was very tough for him to sell that script as nobody was interested in it. He was in so pathetic condition that he had to sell his dog Butkus for $50 and walked away crying. He had only $106 in the bank and his wife was expecting. Finally, one producer wanted to buy his script but he refused to sell it unless he was allowed to be the main actor. He had some feeling that only he could bring the passion in this role, however, the producers were keen to use a real Hollywood star. They offered him $ 125,000 for the script. He refused, so they offered him $250,000 and again he refused. Finally, the producers relented, bought the script and cast his star in the movie but they set the condition of paying the initial offer money. He agreed and after selling the script he bought his dog Butkus back. Rest was history, Rocky won 3 Academy Awards including best picture. It was one of the most successful franchises of all time. We should learn from this story how he was determined and confident about his ability. He could have sold the script for money but he didn’t do that. His passion drove him to reach his goal and he showed the world about his strong belief system. Belief yourself, be change, Be a DOER!! Previous articleDhirubhai Ambani’s Lesson on Networking.